So you’re thinking of delivering therapy online? When working online, using real time typed or “synchronous” chat for the purpose of therapeutic interventions, there are certain drawbacks you need to accept. If you work extensively with body language and base your insights predominantly on facial expressions it can be difficult to make the shift to taking advantage of a new form of “body language”. The body language I’m referring to is evident in the text the client provides and the length of time taken to provide it. Pay close attention to the way responses are being typed…….as well as their actual content. If a client starts the session typing in quite a precise manner, taking care to ensure correct spelling and grammar are used, but when a certain issue is raised typing becomes faster and less accurate that would give you an idea of some kind of emotional distress taking place linked to the subject at hand. If a client takes a great deal of time to respond to a question but they then provide only a one word answer have they deleted something or was the question particularly hard to answer? 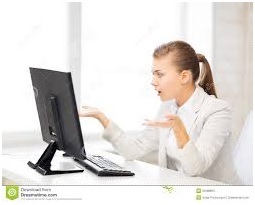 Something often talked about in the field of online therapy and support is the “disinhibition effect” (J, Suler) this term relates to the speed at which painful disclosures occur online. Seemingly, because of the anonymity and physical distance between client and counsellor present in online work, clients feel more able to discuss personal and painful information at an earlier stage of the helping process than they would have done in a face to face support situation. This is something you need to bear in mind as you will need to manage the client effectively so they don’t later reflect on their rushed disclosures and feel embarrassed or ashamed. As clients are unable to see the face of their counsellor you need to become used to explicitly stating how you feel in response to what the client is disclosing. As the client can’t see a smile you simply need to say something like “When you said that, it made me smile” or “When you talked about ….. it made me feel sad”. This kind of statement helps the client to feel that they’re cared for and understood and it strengthens the therapeutic alliance. Unlike face to face support, a client can quite literally take the information being discussed away with them; they can save it or print it off. Whilst this creates a valuable point of reference for clients it also means you need to be mindful when typing responses. You need to be very clear in your interactions with a client and make sure to clarify with the client any points they are unclear of. Previous PostWorld Suicide Prevention dayNext PostSeptember is National Recovery Month – But what is recovery really? These are really good points! Online therapy would be great to reach people in remote areas who don’t have access to traditional face-to-face psychotherapy (I live in Australia where there are a lot of people like this). But I suppose on the other hand it would be difficult to manage high-risk situations over the phone, and a lot of ethical considerations need to be taken in to account (like privacy and confidentiality). But like you said – lets make sure we get the talking part correct first!